Even if most people use digital photography nowadays, that doesn’t mean that you should completely disregard the wonders of film photography. Technology might have made our lives more comfortable and our pictures look better because of the filters that you can apply to them, but there are some film photography benefits that no recent technology can provide you with. If you still have a film camera and you’d like to start taking more pictures with it, you’re going to love what we have prepared for you today. We’re going to talk about 8 film photography tips and tricks that can help you take gorgeous pictures effortlessly. Taking a picture using film photography is definitely much more challenging than going digital. Still, that doesn’t mean that it isn’t more exciting as well. The first thing you should remember when it comes to film photography is that it’s never going to look perfect, especially if you’re still a beginner. If you’re frustrated about the fact that some pictures are not entirely focused on what you intended them to be, or that they look grainy, that’s because this is the beauty and the appeal of film photography. They’re one of a kind, and this means that you won’t have the opportunity to redo the same shot. If you start taking photographs on film with the idea that they have to look as perfect as digital ones, you’re going to end up being disappointed. On the other hand, if you take film photographs as they are and learn to appreciate their beauty and uniqueness, you’ll be extremely satisfied with your work. No type of photography is better at capturing fascinating details such as highlights and shadows than film photography is. If you were to take the same picture using a digital camera, such details would completely disappear. Which is why we advise you to pay attention to them the next time you’re using film photography. It’s a wonderful experience to see places and objects that you photograph take on new meanings as the film accentuates their uniqueness. Another impressive thing about film photography is the fact that it’s so versatile. According to the film stock you use, the things you photograph can take on a new look. For instance, if you’re interested in shooting color photographs, you should consider buying the Portra 400, Portra 160, or Fuji 400 film. They’re great because you have the possibility of overexposing them. If on the contrary, you’re interested in black and white film, you could buy the Kodak Tri-X or the Ilford 400 one. Different lenses give birth to different images. This is precisely why you should choose the appropriate one depending on what you want to photograph and how you want the picture to look. For instance, you can go for a wide-range lens which pays attention to background details as well, or a telephoto lens that focuses on the foreground more. If you’re interested in capturing a panorama, use a wide-angle lens. Especially if you’re new at taking film photographs, you won’t be able to remember what kind of film you used for which picture, or what were the setting you decided to go with. Which is why you should write everything down for good measure. 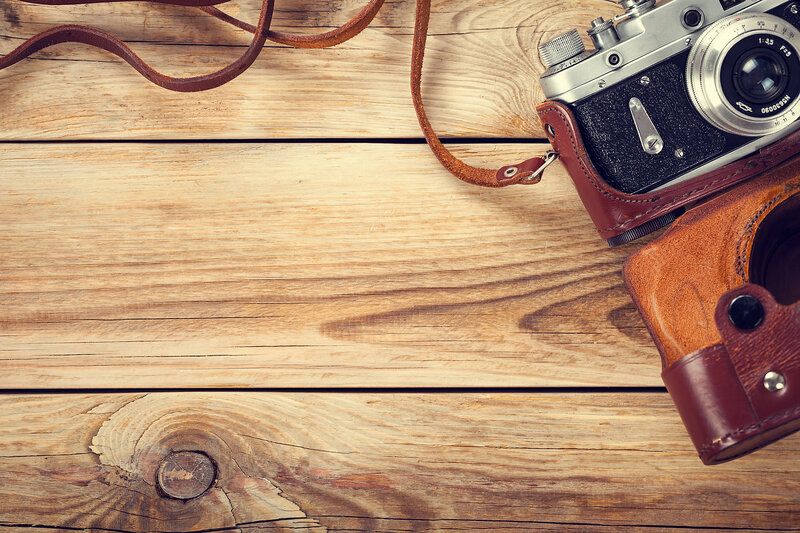 Unlike digital photography, film photography doesn’t provide you with all the details related to your pictures. While this can be frustrating for some people, it’s actually exciting for others. That’s because they get to go back to their notes once they’ve got the photos and see which is which. Even though you might be tempted to go to Costco or Walgreens to get your pictures developed, we recommend a more professional lab where you can make sure that your photographs are handled by experts. After all, unlike digital photography, film photography can be quite expensive, especially if it’s something you do on a regular basis. You have to invest money in film, and you don’t have the opportunity to simply delete a picture and take another one instead. When it comes to setting exposure on film photography, you have two main options. The first one is to use a light meter. This is a great tool if you mostly shoot portraits and you don’t move around as much with your film photography camera. For people who do exactly the opposite, there’s always the option of zone system. This will teach you to master exposure whenever you want to photograph things that are constantly moving. To be more specific, if you’re going to take portraits of a bride and a groom on their wedding day, feel free to use a light meter. If you’re going to be chasing your dog around the yard trying to capture some really nice shots of him, you should use the zone system. As opposed to digital photography, film photography requires much more care when it comes to composition. Don’t get us wrong, digital pictures can also benefit from a great composition, but not as much as photographs taken on film. As we’ve previously mentioned, with film photography, you don’t get the chance to take multiple pictures of the same subject and then choose the one you think looks best. Which is why it makes sense to pay a lot of attention to how you frame the subject. If you’ve ever noticed something looking great when you see it with your naked eye, just to end up disappointed of how it looks on camera, then you know how important composition is for a photographer. What you see in front of you is only going to make for an amazing picture if you know how to capture it. Even if the future of film photography is uncertain, we hope you enjoyed these 8 tips and tricks on how to use it to take unforgettable pictures!